A series of estimate reports by local brokerage houses on South Korea’s two major chipmakers reignited market fears Tuesday, as they became more skeptical over their first-quarter earnings, citing falling memory chip prices due to market saturation. 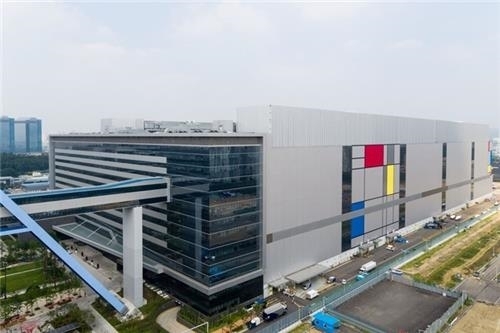 According to local market researcher FnGuide, the market consensus on Samsung Electronics’ operating profit came to 8.33 trillion won ($7.36 billion), a 47 percent decrease from the first three months last year. 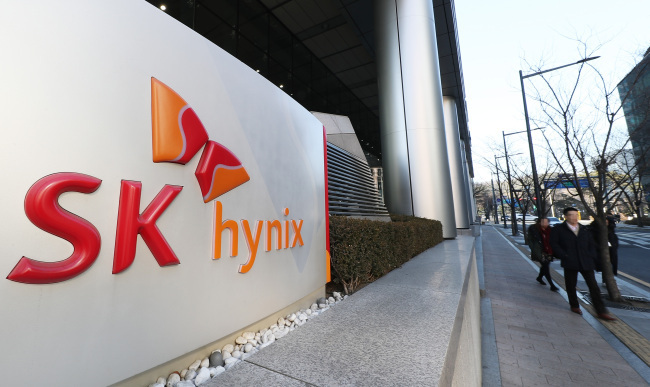 The quarterly estimate of SK hynix, the second-largest chipmaker, stood at 2.09 trillion won, plunging 52 percent from the same period last year. Prospects of SK hynix were bleaker than late last year when securities firms came with a market consensus of 3.99 trillion won in late December and 2.29 trillion won in late January. Hanwha Investment and Securities painted an even darker picture, projecting the chipmaker to post around 1.2 trillion won in operating profit between January and March, more than a 70 percent decrease from last year. Citing the prices of DRAM and NAND flash memory chips that fell more than 25 percent from the previous quarter, Korea Investment and Securities estimated Samsung’s operating profit at 6.8 trillion won, a 56 percent drop from 15.6 trillion won posted last year. Not only the first quarter, but also for the rest of the year, the two semiconductor manufacturers are projected to suffer from lower-than-expected profits. An annual estimate of Samsung’s operating profit projects a likely plunge of nearly 38 percent-on year to 36.66 trillion won, while SK hynix is expected to have its operating profit slashed in half at 9.53 trillion won. The chipmaking arm under SK Group saw record-high operating profits last year of 20.8 trillion won. The gloomy reports came after the two companies thrived in the last two years on a “super-boom” in the global semiconductor market, serving as key drivers for Korea’s economy, which is highly dependent on exports for growth. With uncertainty lingering on their performance this year, local economists raised concerns over excessive dependency of the nation’s export-oriented economy particularly on the two chipmakers. “A sharp increase in shipments of semiconductors during the last two years has caused imbalance in the nation’s export structure,” said Korea Economic Research Institute in its report. The degree of Asia’s fourth-largest economy’s dependence on key products, mainly semiconductors, for exports was twice that of the average of the world’s top 10 exporting countries, the institute said in its report. The country’s “product concentration of exports” was measured at 137.2 last year, 1.8 times higher than the 77.9 average. France posted the lowest mark of 50.2. Figures for neighboring countries, China and Japan, were 112.7 and 118.1, respectively. Slowing shipments of chip products will deal a serious blow to the nation’s economy, KERI said, citing a recent report by the World Semiconductor Trade Statistics that projected the global chip market to contract 3.3 percent on-year in 2019. The memory chip market, in particular, is expected to suffer a 14.2 percent decrease. In its hypothetical report, KERI said, the memory chip market contraction of minus 10 percent could trigger up to 20 trillion won in production losses and slash 50,000 jobs. Samsung and SK hynix are the top two memory chip providers in the world.